Just so you know, this recap will be posted in 3 parts. Why? Episode 13 has 3 parts. The first part is the general episode and the next two parts are like episode 6—there’s two different courses and two different actions. I wonder which one is correct? With episode 6, the path of Luna choosing to see Ren over Woo Joo made more sense than Luna meeting Woo Joo instead. We open at a club. Abilio says that while Luna’s fashion sense has not gotten any better, she is great at producing. Luna thanks him for the compliment. Ako then comes up and asks where Woo Joo is. Abilio was just wondering the same thing. He knows Cherry [Sakurai] and Taka won’t be showing up since they are on location, but why hasn’t Woo Joo shown up yet? Abilio then scolds Luna for not paying attention to details and goes off to call the late party. Ren’s assistant comes up with Misaki and thanks Ako for taking care of the watch situation with Sen and his company. Ako then reveals she wasn’t the one who dealt with the watch issue. Abilio then comes back and says Woo Joo personally went to Sen’s agency to apologize and tell them he’d personally work off the cost of the watch. How awesome is he? Misaki says it was brave thing to do and then reveals they even got a call from Sen’s agency to apologize. 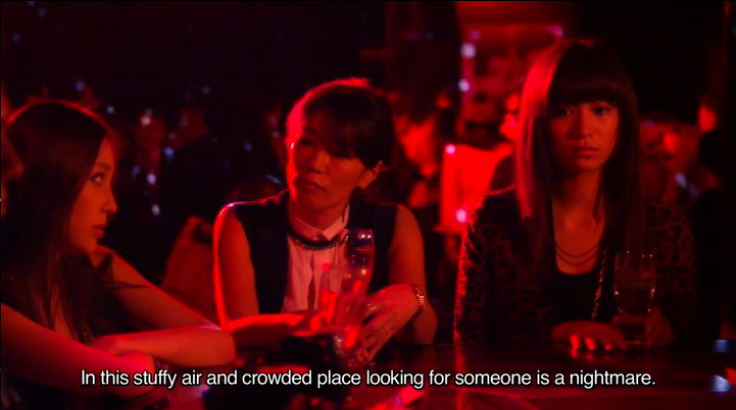 Ren’s assistant then reveals that he doesn’t see Woo Joo. Is he working on Christmas eve? Abilio doesn’t know, but Woo Joo is currently not answering his phone. Come to think of it, Ren’s not there yet either. Ren’s assistant says he had just heard from Ren who says he will be there shortly. Misaki then wonders aloud if Ren is leaving to go back to HQ because he lost interest or because of someone (pointed stare at the discomforted Luna). Where is Woo Joo? He’s currently getting beaten mercilessly in an abandoned warehouse while Iga just watches and laughs. He tells the men to quit and then pulls Woo Joo to his feet. The younger man asks if Iga feels better now. Iga says that’s not for Woo Joo to decide. 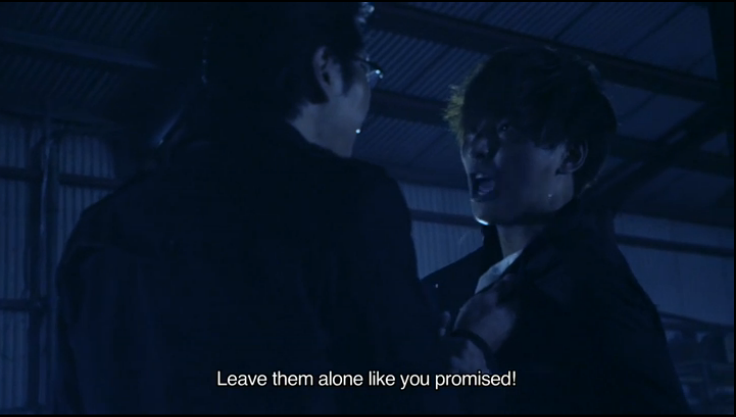 Woo Joo tells the man to hit him as much as he likes as long as he keeps his promise to leave Ren, Luna, and Sung Jun alone. Iga says he will do just that as long as Woo Joo gets hit once more. 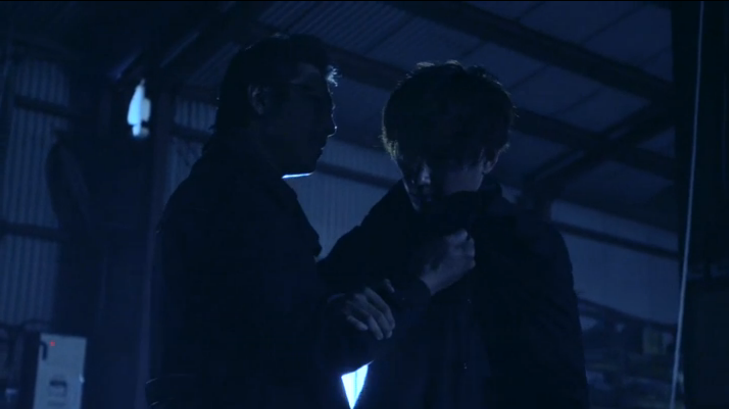 Woo Joo is then grabbed by the men again and hit quite forcefully. He collapses and is unable to move. Ren is leaving his house to go to the party when he gets a call. He answers and it is Sung Jun. Ren asks why he called since it has been quite awhile. Sung Jun asks if Ren has anything urgent. Nope. Why? 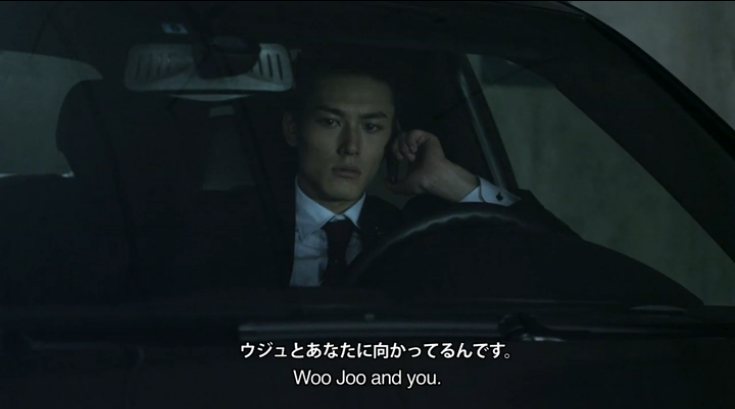 Sung Jun then reveals Woo Joo has met with Iga. 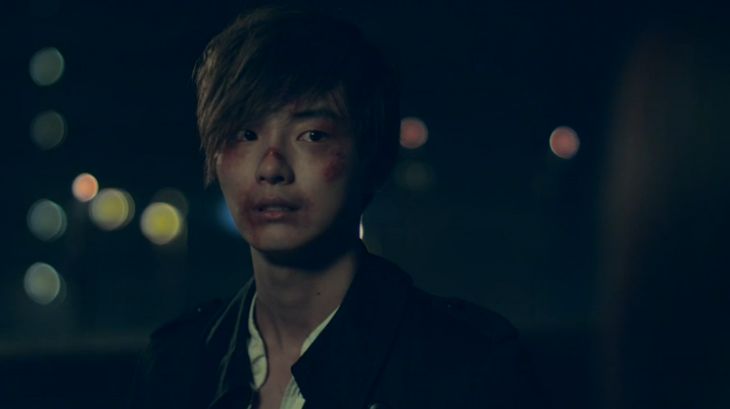 This shocks Ren and he demands to know why Woo Joo would meet with Iga. Sung Jun reveals he was the one taking pictures of Luna, Ren, and Woo Joo at Iga’s request. 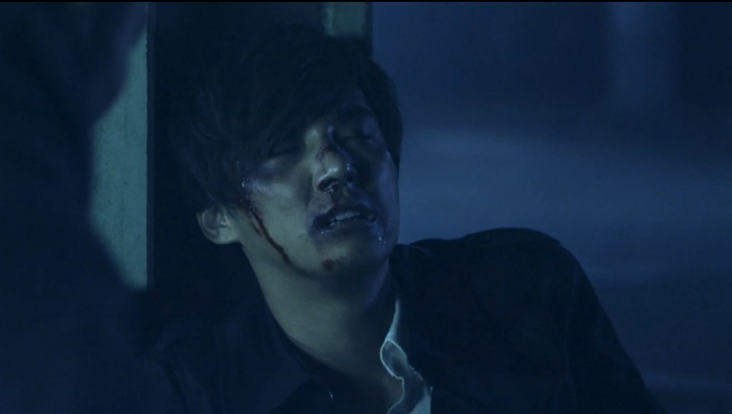 He also says that Iga feels he was abandoned and blames both Woo Joo and Ren. Sung Jun then reveals that Woo Joo is planning on sacrificing himself to save everyone. Sung Jun believes Woo Joo is in big trouble. Ren demands to know where the two were meeting and promises to go himself. At the warehouse, Woo Joo fumbles for his phone. He manages to get it and holds it up above his head and tries to focus his eyes, but every thing is a blur. What time is it? Is he dreaming? He puts his arm down and again tries to get up. This time he does manage to shakily get to his feet. He is very unsteady as he tries walking. He collapses once more as Ren arrives. Ren rushes to him and asks him to wake up. 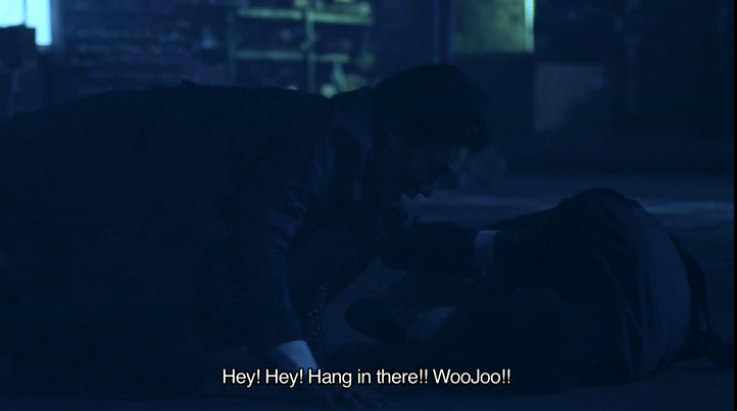 Woo Joo is unconscious. Baboya. There was no reason for him to go to that extent, was there? Later Woo Joo has woken up (they are still at the warehouse for whatever reason) and asks how Ren knew how to find him. Ren reveals that Sung Jun called him and let him know Woo Joo was in trouble. So what exactly happened? Woo Joo asserts it was nothing and that he is fine. Sooo not believable right now. Ren calls him an idiot and asks if Woo Joo really thought he’d be able to handle things on his own. Woo Joo just says it’s fine as everything is over now. 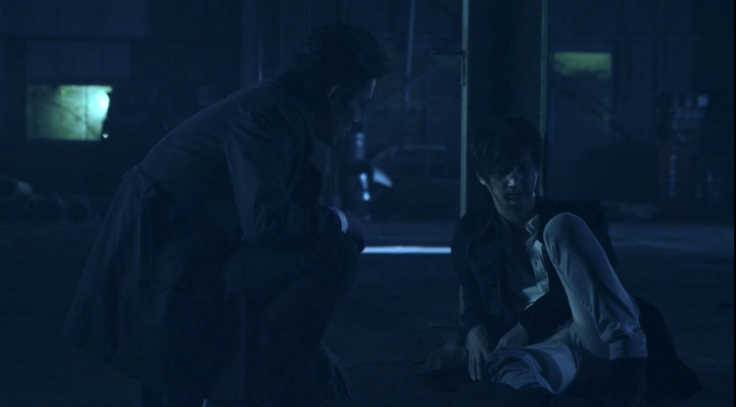 Ren says that even if Woo Joo has forgiven Iga, Ren can’t. 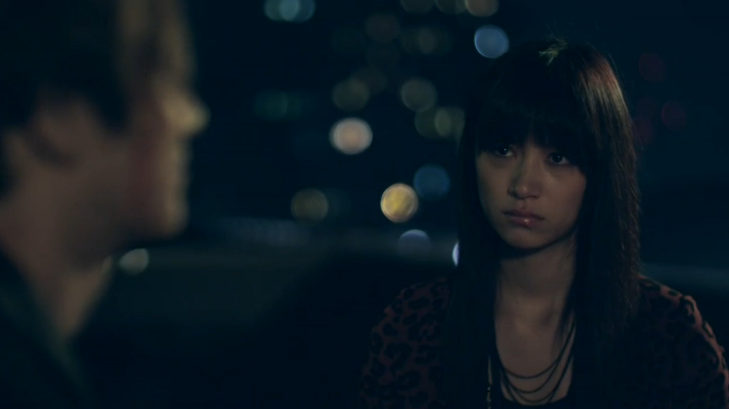 Woo Joo tells Ren to leave Iga alone so as not to get Luna involved again. Woo Joo then gets a call. He laughs. He has a promise to keep. Ren says his car is outside and he will take Woo Joo. 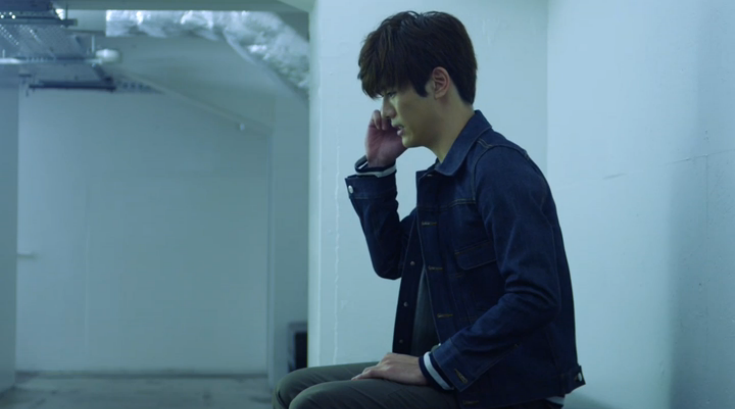 The two then start towards the car and Ren worries if Woo Joo is really okay. Woo Joo laughs. They aren’t even friends so it is weird that Ren’s so worried. Ren then thanks Woo Joo who asks Ren not to tell Luna anything. 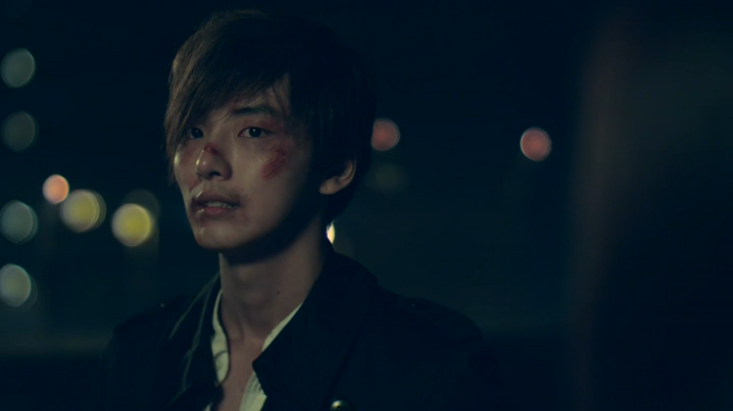 Ren asks how Woo Joo will explain the bruises. Woo Joo says nothing. Ren then asks what happened between Luna and Woo Joo in the past. Woo Joo says he will explain it all some day. Luna is at the party when she gets a text from Woo Joo asking her to meet him at the house instead. Misaki then comes up and congratulates Luna on a job well done. Luna is shocked. She happily smiles and thanks Misaki for her praise. Ren drops Woo Joo off and makes him promise to go see a doctor. Woo Joo thanks Ren for missing his important event and helping him. Ren asks if he forgot something. Woo Joo holds up the necklace and says he has been holding on to something important. Ren then tells Woo Joo to worry about himself more and scolds him for missing a big event that he was also in charge of. That’s negligence for a stylist. Woo Joo promises to apologize and Ren tells him not to worry any more about Iga as he will take care of the other man so there will be no more worries. Woo Joo thanks him and then asks him to keep Sung Jun’s duplicity a secret since Sung Jun only did it as he desperately needed the money. Ren agrees to this. Woo Joo wishes him a merry Christmas and Ren laughs. He tells Woo Joo not to get mushy on him and then thanks him. Ren wishes him a Merry Christmas in return and Woo Joo goes off. Luna is waiting in the living room for Woo Joo to arrive. She gets up, puts on her jacket, picks up a gift and heads out. Where is she going? Meanwhile, Woo Joo is slowly making his way to their house holding the necklace when he sees Luna sitting outside. He stops and holds up the necklace, flashing back to the little girl crying. He puts the necklace in his pocket and walks up to Luna. She smiles brightly without looking at him and says it’s a blue moon. Woo Joo asks to go somewhere else with a better view. He takes Luna’s hand and she finally sees his face. What happened? Woo Joo says nothing and the two walk hand in hand down the street. The two reach their destination and Woo Joo looks at his cell—it’s not yet midnight. He wishes Luna a happy birthday and a merry Christmas. Luna is not in a celebratory mood now, though. She asks again what happened to him. Was it a fight? Woo Joo smiles and says nothing. Luna angrily demands to know what happened. Woo Joo just insists he is fine and it’s nothing to worry about. Luna then scolds him for making her worry for always getting banged up. Woo Joo apologizes and Luna tells him it’s okay. He then says he has something very serious to tell her. What? Woo Joo then begins his story. He told her he lived in Tokyo when he was 5 because of his father’s job as an engineer, right? Woo Joo then says he was in Tokyo on December 24, 1991. When his father’s car was passing through an intersection, another car was trying to stop at the red light and skidded on the icy street coming into the intersection. Woo Joo’s father panicked and slammed on the brakes. The driver didn’t have his seat belt on and died as he landed outside of the car. Luna tears up. Woo Joo says that the man who died was her father. 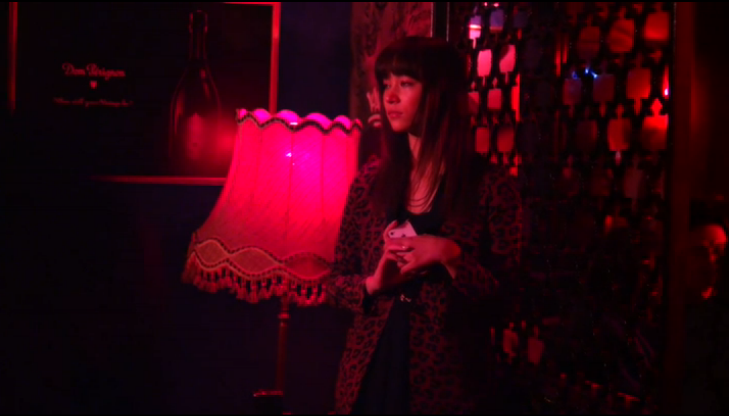 Luna cries and Woo Joo continues after a brief pause. 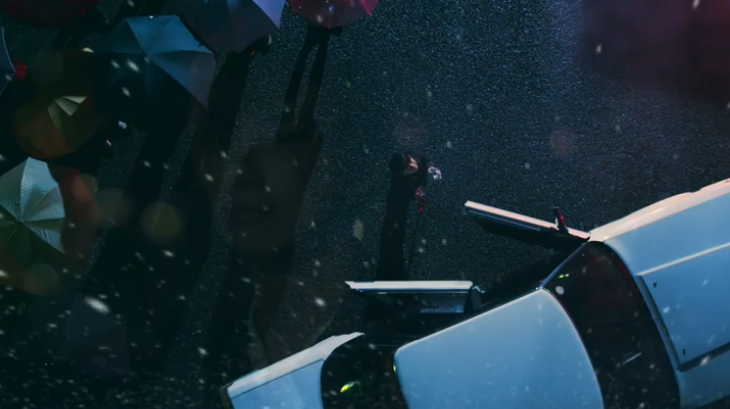 We cut to a flashback where we hear the sounds of the accident before seeing it rather unclearly. Woo Joo goes up to the crying little girl and holds her hand. The little girl runs away leaving a package on the ground. Woo Joo picks it up. It was the necklace he’s been hanging onto all of these years. The little Woo Joo looks up as the snow starts coming down. 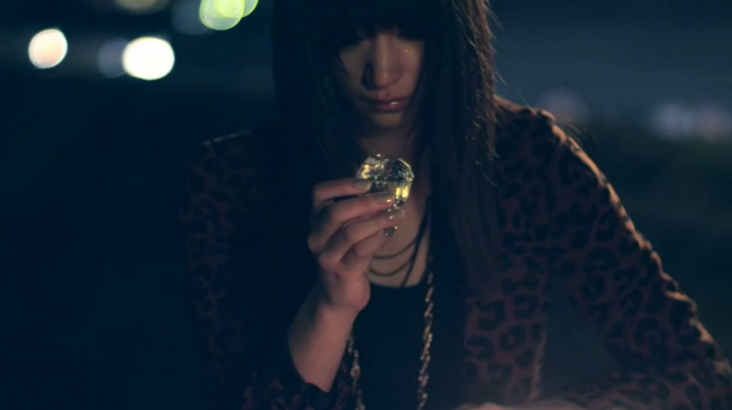 The flashback ends and Woo Joo pulls out the necklace and places it on the table. It’s the present Luna’s parents bought for her that year. Luna reaches out for it and Woo Joo says he has been trying to figure out out to tell her for awhile now. He tears up and says it was his parents that destroyed her happiness and turned her birthday into a tragedy. Woo Joo then reveals he learned Japanese so he could read the message Luna’s dead father left behind. He was surprised by the level of emotion that Luna’s father had for her. He then asks her to forgive his family. Again, Luna stays quiet and can only cry. In hopes that your love will be as true and as vast as the galaxy…Luna…please learn to love. Father. Luna closes the note and keeps her head bowed as she reaches for the necklace. Woo Joo puts his hand over hers. She cries and apologizes. It’s just all too sudden and she is very confused. 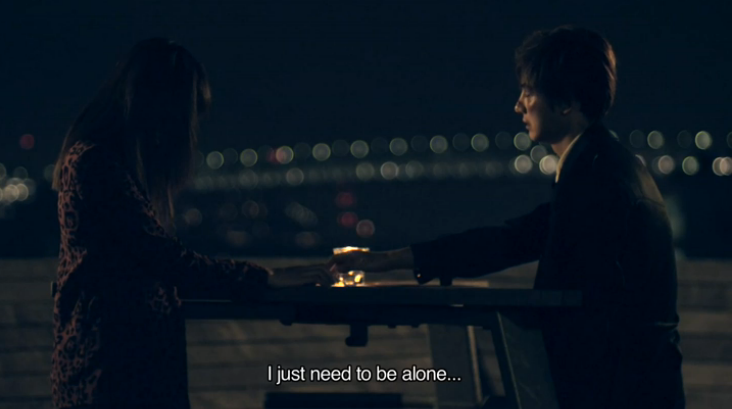 She then asks to be alone. Woo Joo withdraws his hand and walks away, granting her wish. Luna once again reaches for the jewelry box and opens it. Inside is the moon necklace we’ve seen Woo Joo staring at in previous episodes. Luna holds it in her hands and cries even harder. What will these two story lines have to hold for our couple? I’m not saying Woo Joo is wrong, but it was an accident on a snowy day. Those things can be unavoidable and aren’t necessarily any one’s fault.